Proofread your Cabrillo file. I’ve received a couple of logs for the wrong contest:). More importantly, I’ve seen a couple that were missing critical information. Frequency in KHz. 7041, 14043, etc. 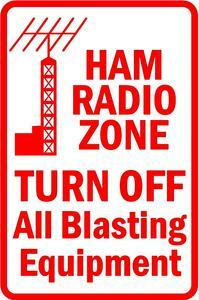 If you made any VHF QSOs, the frequency should be in MHz – 50, 146, etc. QTH sent. A number of Tennessee stations have entered “TN” here. It should be the abbreviation of the county you sent. Make sure you have a ARRL-SECTION: or LOCATION: tag at the top of your file. If you’re a U.S. or Canadian operator, make sure this tag contains a valid ARRL section abbreviation. A list exists on the ARRL website.. If you don’t know your section, guess:) Pick any section in your state. If you’re a DX operator, put “DX” in the LOCATION: tag. Please avoid ADIF files if at all possible. If that’s the only way to send in a log, we’ll work with you. Were you single-operator or multiop? Mailing address, in case you win something! I’m seeing evidence some operators are using software that looks up the other guy’s callsign on QRZ.com and pulls his QTH information from there. That’s not a good idea. Probably most important, most contesters don’t see that as ethical. You could be disqualified if you used QRZ lookups in some contests. On a more practical level, QRZ.com may be wrong! Especially with regard to the bonus station K4TCG. K4TCG comes up on QRZ as being located in Cheatham County, because that’s where the club trustee lives. In any given year the bonus station may, however, be located in any county in Tennessee. In some years, K4TCG has been mobile. If you log K4TCG as Cheatham County based on a QRZ lookup, you might lose a LOT of points! It’s not just K4TCG. Other stations may operate mobile or at a fixed site outside their home county. Please log what you hear over the radio.